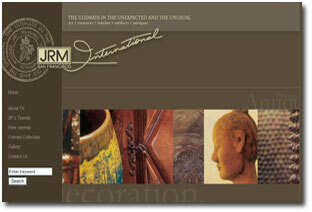 The following is a sampling of websites we have developed, maintain or host. 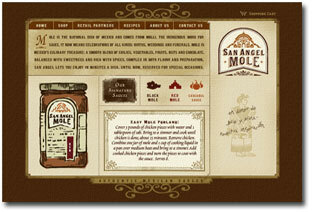 Some of the websites demonstrate strong design skills while others have more focus on their functionality. We invite you to visit our client websites by clicking the links below. 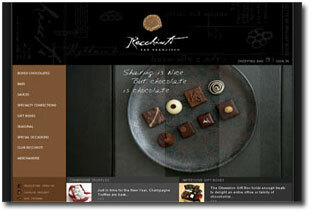 Recchiuti Confections is considered by many to produce the finest chocolates in the world. Their site utilizes advanced e-Commerce techiniques and is powered by the open source Interchange web application server. 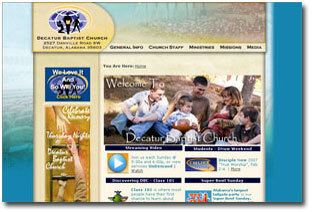 The Decatur Baptist Church website demonstrates both design appeal and advanced features such as video streaming and a searchable MP3 sermon database. We are continually surprised by the high number of repeat visitors we have from all over the world. 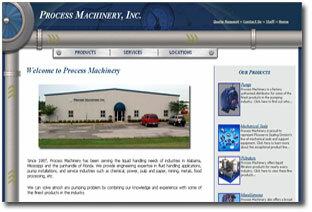 Process Machinery has really stepped up their game with the recent launch of their newly redesigned website. 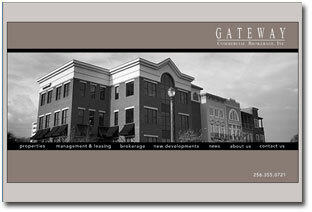 With a site developed entirely with Flash, Gateway Commercial Brokerage continues to stay on the cutting edge with their web presence. An exquisitely designed site also powered by the Interchange web application server. JRM International's site shows that the open source Interchange web application server works just as well for content management as it does for e-Commerce. This site demonstrates that simplicity can be a good thing. 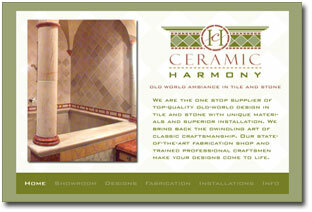 With a very clean and tight design, it really shows off Ceramic Harmony's fine German craftsmanship. 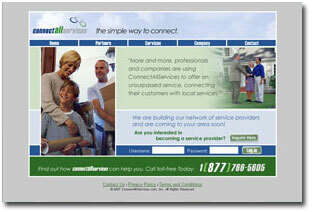 Connect All Services allows new movers to signup for utility, telephone, cable television and other services with a few clicks of a mouse. The site utilizes advanced PHP programming techniques to provide a highly flexible system for interfacing with the various service providers.